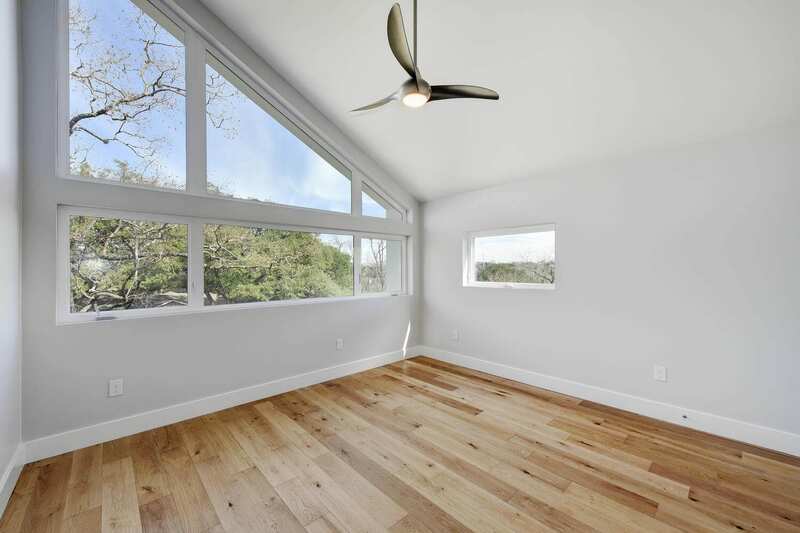 The peaked rooflines of this home design were driven by the Habitable Attic exemption that the City of Austin allows. This permits additional square-footage above and beyond the allowable Floor Area Ratio. In this case, we were able to get another 375 square feet for our client that wouldn’t have been otherwise allowed. This lot was very narrow - only 50’ wide. We wanted to articulate the front so that the garage wouldn’t dominate the home’s front facade. We also designed right up to the allowable impervious cover. The interior of the home features a large open kitchen leading into a vaulted living room. The palette of materials is light, bright and soothing. The house is located on Townes Ln. and the name is also a reference to one of Austin’s great songwriters, Townes Van Zandt. This project was featured on the 2017 Austin Modern Home Tour.